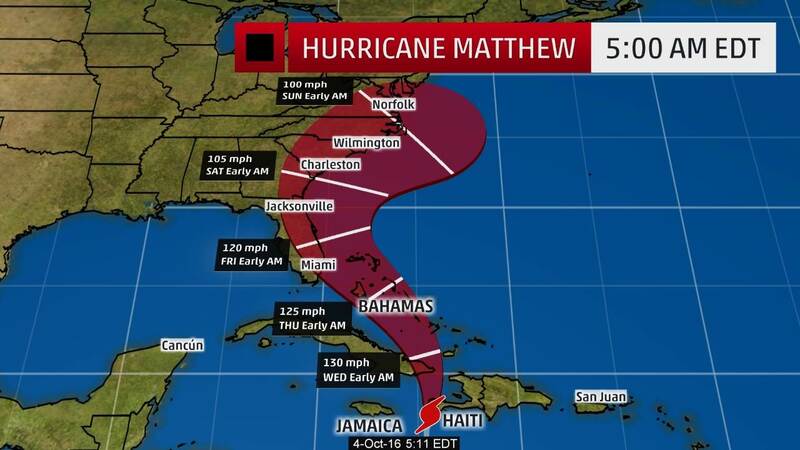 Hurricane Matthew’s fierce winds were bound for the Bahamas Wednesday morning as the storm that has killed at least seven people took its last lashes at Haiti and continued to pound Cuba. The damage was especially brutal in southern Haiti, where sustained winds of 125 mph continued to punish the impoverished island nation that saw trees topple to the ground and rain flood its streets Tuesday. Forecasters had predicted Haiti might receive up to 40 inches of rain — a disastrous amount for a nation still recovering from a devastating 2010 earthquake that killed more than 200,000 people.